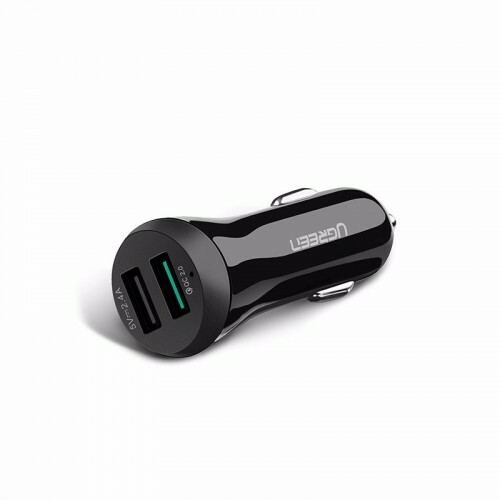 Ugreen Quick Charger 2.0 Dual Port USB 30W Car Charger could keep your portable devices powered up to 75% faster than conventional USB charger. Compatible with Apple, Android Smart digital devices. Dual Port design allows to charge 2 devices simultaneously and make your travel perfect. The latest, fastest and most efficient USB charging technology in the world. Up to 4X faster than standard chargers. Quick Charge 2.0 port charges compatible devices 75% faster.